class="post-template-default single single-post postid-333479 single-format-standard custom-background group-blog header-image full-width singular wpb-js-composer js-comp-ver-5.7 vc_responsive"
Kearney, Neb. – For a second straight season the Nebraska-Kearney football ventures to Edmond, Okla., for a tilt with the Central Oklahoma Bronchos. UNK won its season opener last Thursday at home over Missouri Southern State, 45-0. The Bronchos were on the road at Pittsburg State and fell, 21-7. Head coach Josh Lynn like the approach the Lopers have taken this week in practice. Every couple of seasons the MIAA schedule is redone and this is the first of a two-year cycle. That means UNK is at UCO and Washburn again while Missouri Western State comes to Cope Stadium once more. Next year the Lopers will face the same opponents in the same order with the locations flipped. Rain, thanks to Tropical Storm Gordon, is in the Edmond forecast so it could be a sloppy track.. Both defenses were among the MIAA’s best in 2017 and return plenty of talent. Last Thursday UNK allowed MSSU just 246 yards of offense while UCO held now-No. 28 Pitt to 332 yards despite being on the field for 35 minutes. The ‘Chos had a crazy 2017 season, going 2-4 in games decided by a touchdown or less and winning its last six games to finish 8-4. That winning streak included a victory in the Corsicana Bowl. Thanks to a 98-yard interception return for a score right before halftime, UCO downed UNK in October, 27-13. Out gained 407-383 in that game, the win makes UCO 5-2 all-time against the Lopers. A stout front seven features 2017 All-MIAA linebackers Alex Figueroa (79 tackles) and Colton Lindsay (100 tackles) and redshirt freshman JUCO transfer Tyrell Cummings (6-0, 315 lbs.). The linemen had an impressive seven stops at Pitt State. Maybe no MIAA offense lost more to graduation than the ‘Chos. Quarterback Chas Stallard, 2017 MIAA Offensive Player of the Year J.T. Luper and receiver Josh Crockett (Kansas City Chiefs practice squad) have all departed. 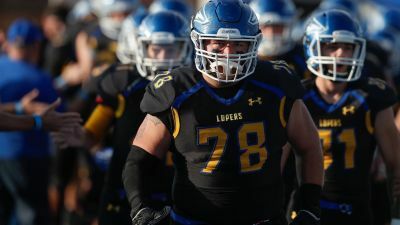 Lynn says a win over UCO would be big for the Lopers. Looking to start 2-0 for the first time in seven years, UNK ran around, through and past Missouri Southern last week to the tune of 474 yards and five scores. Both totals are among the best in school history. Juniors David Goodwin (Lauderhill, Fla.) and Darrius Webb (Allentown, Pa.) had big Loper debuts, each rushing for over 100 yards. Webb picked up MIAA Offensive Player of the Week honors after managing 163 yards and three TD’s (three, 10 and 98 yards) on only eight carries with Goodwin tallying 113 yards and two TD’s on eight totes. His scores came from 38 and 58 yards out, respectively. Fourth-year junior Alex McGinnis (Crete) had a productive second start at QB, throwing for 111 yards and running for 94. He had a team-high 18 carries and completed passes to seven different teammates. Kickoff on Thursday night is set for 7pm and the game can be heard with coverage at 6:30pm on 93.1 KRVN FM and krvn.com.